Some belated news, but news that I am really pleased to cover. One of my all time favourite travel brands Mr & Mrs Smith won another well deserved award, being voted Favourite Travel Website in the Condé Nast Traveller Readers’ Travel Awards – for the second year in a row! “It was amazing enough to hear our name called out last year, but to have it happen again nearly made us fall off our chairs. So, we’d like to say a huge thank you to Traveller readers for voting for us, and to new editor Melinda Stevens for astonishing us all over again”. Since James Lohan and Tamara Heber-Percy set out hotel hunting nearly 10 years ago, Mr & Mrs Smith have strived to unearth the most stylish, unique and heartfelt hotels, places where a couple could run away to for a weekend and be confident they’d still be talking about their trip years later. They’ve gone from a handful of boutique retreats in the UK to a worldwide collection of around 1,000 hotels and moved from being a guidebook publisher to being a hotel booking site and travel club – and they have ambitious plans beyond this too. I really love this company. They are incredibly passionate about what they do, and they do it very well. 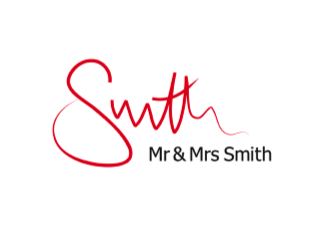 Hotel Insight will be speaking with Mr & Mrs Smith very soon to find our more about their brand and the secret to their successes. This entry was posted in Awards, News, Top Hotel Websites. Bookmark the permalink.